Nathan Morgan recently joined News Corp Australia as Chief Procurement Officer and was with Macquarie Group for 5 years reaching Global Head of Sourcing. News Corp Australia is nation’s most influential media organisation, and the largest publisher across print and digital, News Corp Australia reaches an unduplicated audience of 16 million Australians every month. As well as their famous news and sport brands, they lead the way in fashion, food, health, real estate and parenting. 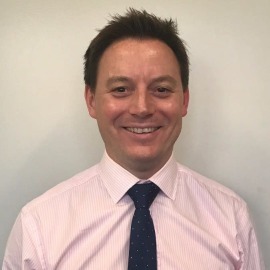 Before joining Macquarie he was based in the UK as the Interim ICT Procurement Programme Director - The Cabinet Office, UK Government for 4 years. Nathan has also held multiple consulting roles and IT in global companies such Arup, Oracle, EDS. Nathan specialises in Strategic Procurement spanning a breadth of industries from The UK Royal Household, Retail, Manufacturing, Central & Local Government, Financial Services and now Media. Nathan is an experienced multi-category Director utilising in-house and outsourced teams across the globe.